Smart glass natively part of Xbox One. Looking forward to all this tech. Feeling like we’re getting closer to the Matrix. This Xbox one is looking sick! A lot of these Xbox one features would be groundbreaking, but for the invention of the computer.. Seriously, all this can be done on any PC. I hope y'all got y'all money up! 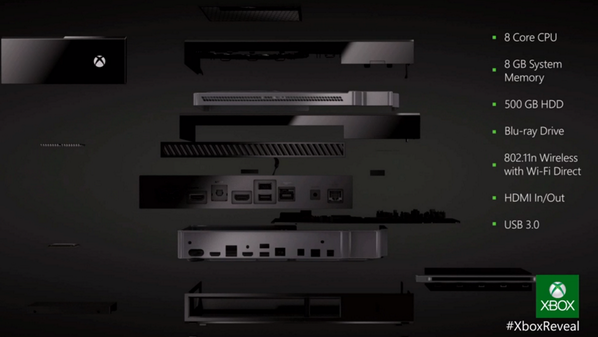 Cause the Xbox 1 look soo ****ing dope! Get on Xbox right now they doing a presentation of it! The xbox one is getting purchased on the day its out!!! Xbox One will have a Blu-ray player, finally, I don't have to keep my Playstation anymore! Ich brauch doch kein Tablet, wenn ich vom Klo aus meine Xbox anschreien kann, den Trailer zu Star Trek und Halo 5 gleichzeitig anzumachen. A Microsoft está apresentando agora o novo XBOX. Xbox One has a Windows kernel as one of it's OS's. How long until someone figures out how to install Steam on it? I actually like the xbox controller tho.. Like when i used to play with that the ps3 one seemed weird. xbox one is the new xbox hmmm? Gente, o que é xbox? “@PlayStationEU: EXCLUSIVE VIDEO: See it First at E3. PlayStation 4. Lag free experience! I love xbox one!!! Pues el nuevo Xbox one se ve bueno, sino se aplica Sony puede perder muchos seguidores. "Your troops" NOW it's Xbox. May be joining Xbox for the next gen consoles. I shall buy the Xbox one!???? Can't wait for this xbox one to come out bruh.